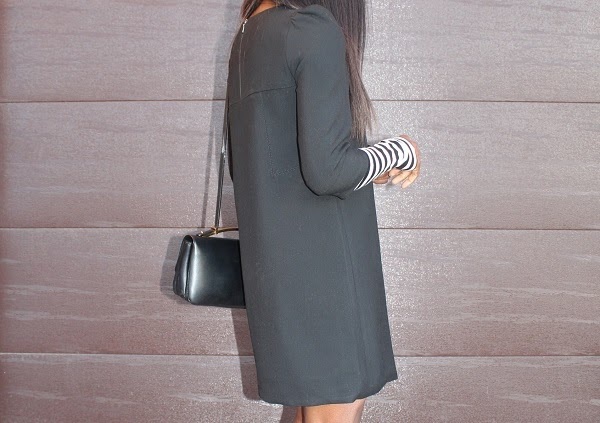 On this day it was slightly cool yet sunny…light layering felt ideal, so I reached for my horizontal striped tee as the detail needed to add a touch to this puff sleeve shift dress. I enjoy horizontal stripes because it gives a clean crisp addition to any look. As you may notice, I do enjoy the detail added by horizontal stripes and collect striped pieces whenever I can.